I think it's fair to say, all bloggers work hard. Some more than others yes, granted. But if you're spending time, writing, editing, taking photos, then you're putting hard work into your blog. Blogging days have changed a lot since I started over three years ago, it definitely seems to come hand in hand to working with 'brands'. Of course, as you can imagine with people gaining items for 'free' as it may seem to others, it's created a culture were new blogs pop up by the thousands every day and I feel as though brands are definitely taking advantage of that a little. For me, when I'm reviewing items, I'm not getting them for free - I'm working for them. If I review it, I've spent my time and effort, taking photos, editing them, writing content, scheduling tweets and discussing the item with other bloggers. My post hasn't just fell through the airways, I've worked for it. The same goes for sponsored content, I'm not being paid for nothing, time is money, and when you're a mum to two boys, time is definitely precious too - so therefore I am earning money the same way I do in my full time job. I'm giving my time and skills, (although by writing on here, not looking after children) in exchange for money / or gifted items. Now, let us get into the side that's getting on my nerves a little. I'm finding the more bloggers are becoming savvy to the world of brand relations, the more some brands take advantage. Lately, I've heard a word that if I'm honest is quite irritating 'good exposure', I almost feel it needs to be in twitter bios. 'Doesn't work for 'Good exposure'. For example, an email I recently received, asked me to write a weekly piece for a brand on my own blog, a brand that really doesn't fit in with my content at all. And what would I get in return, ahh yes, 'good exposure'. Now of course, if this was a large household brand that would be promoting my posts then may be so, but that was not the case. No promotions would be happening on their behalf, my exposure would be coming from promoting my own posts. I mean, have you heard anything like it? 'You write about our brand weekly and then promote yourself as usual, for free'. Do I have stupid written across my forehead? Being told to work for 'Good exposure' for me, is the equivalent of being hired in a job and being asked to work entirely for free as it will look good on your cv OR, you're getting out there by working for us, so another employer might see you - which is great for you. No sweetie, I'm not volunteering for you, I've not reached out to work with you. I know my self worth, and I'd much rather spend my time writing blog posts on things I'm passionate about, not on Kitchen roll (YES IT WAS KITCHEN ROLL). I know after speaking to a lot of fellow bloggers, it seems to be the flavour of the year to offer bloggers 'good exposure' in return for their hard work. Personally, I'd rather not compromise my content, for the sake of a few shares to social media. I know that if I work hard on topics I'm confident with, and items I'd shout about from the rooftops, people will share my posts regardless. It's hard when you're new to the scene though, people are taking advantage of newer bloggers which is an incredible shame to see. 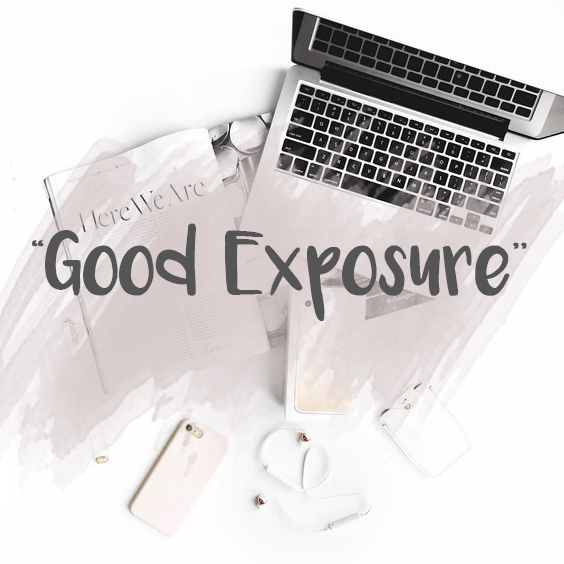 I feel the blogging community is so incredibly strong and it's important to warn others that 'Good exposure' isn't all it's cracked up to be. Anytime lovely, it's definitely how I've learned a thing or two by reading tips posts. You're spot on Angela, it isn't even anything extra. You've hit the nail on the head.